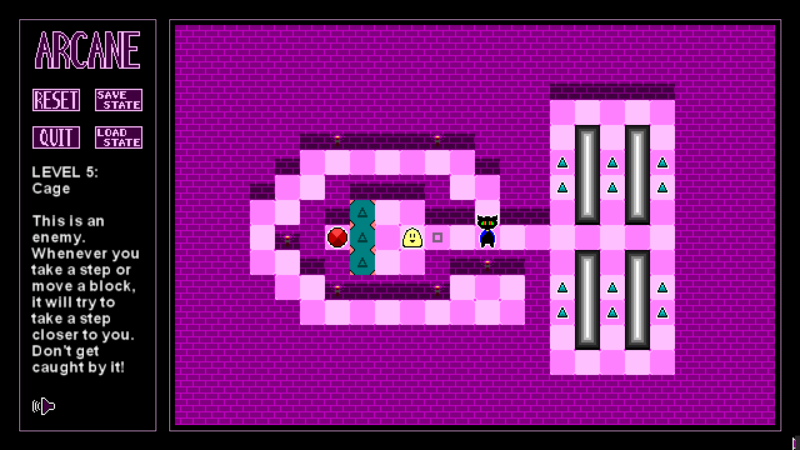 ARCANE is a puzzle game for Windows, which requires a mouse and keyboard. Move your character to the red gem in each single-screen puzzle, avoiding enemies. You can pick up and place blocks with the mouse - you can teleport them to wherever you like, as long as there's room to place them. You can also save a state in puzzles, so that you have a checkpoint to reload if the puzzle goes bad. There are 17 puzzles in total. 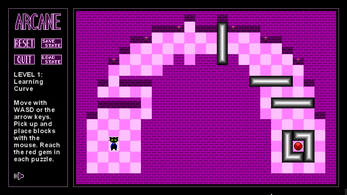 ARCANE is inspired by classic tile-based puzzlers such as DROD and Chip's Challenge. 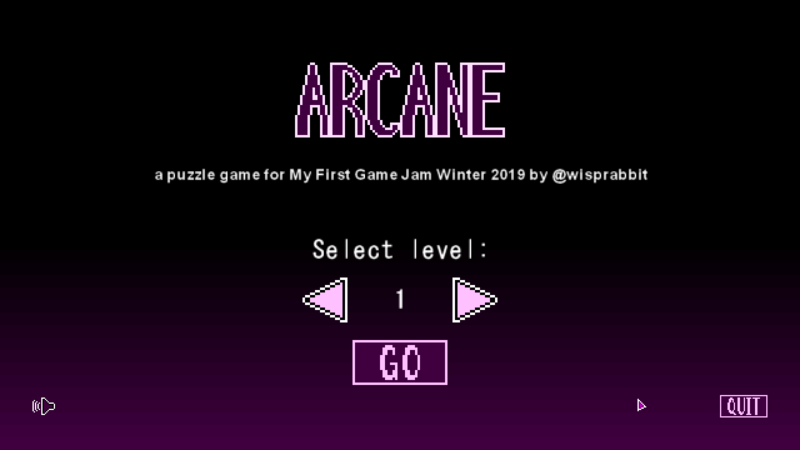 It was made in two weeks for My First Game Jam Winter 2019, using Game Maker Studio 1.4. 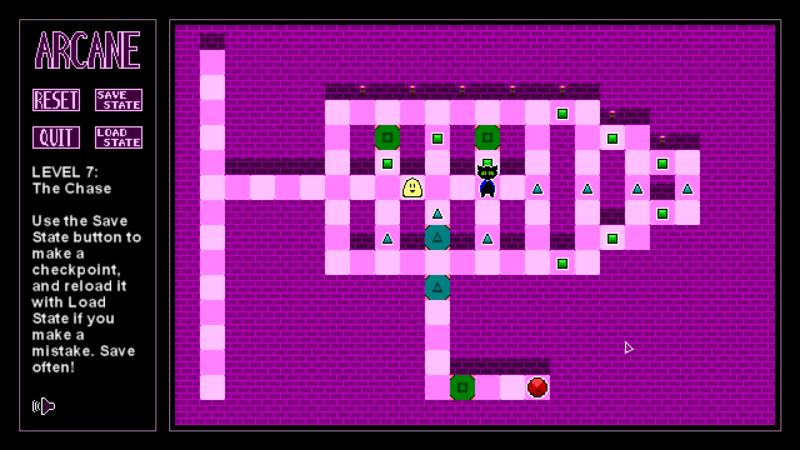 You can check out the original devlog here if you're curious about the making of this game. 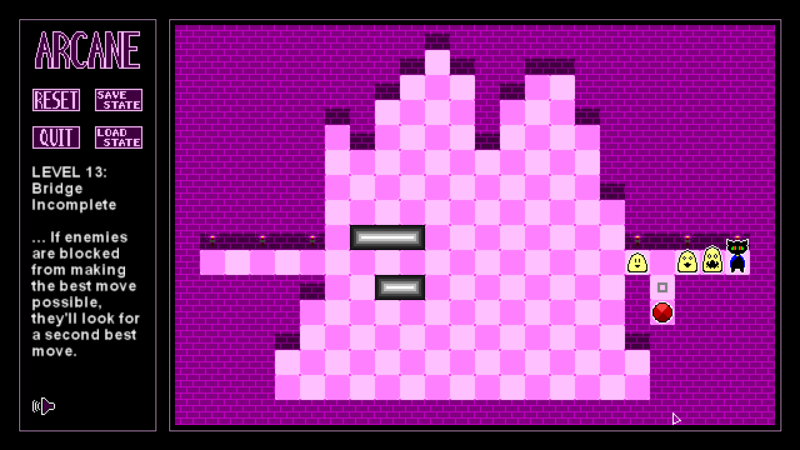 I wanted to make an open-world occult-themed puzzler, but obviously I had to re-scope to get something done in two weeks. I'm listing this as a prototype because I would love to do more with it. But I think this is pretty good for what it is! Hope you enjoy it! 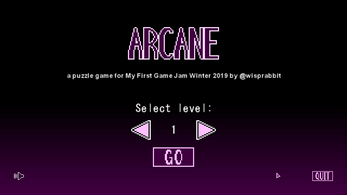 Arcane.exe is an installer for Windows systems generated by Game Maker. Run the installer and install the game wherever you like. 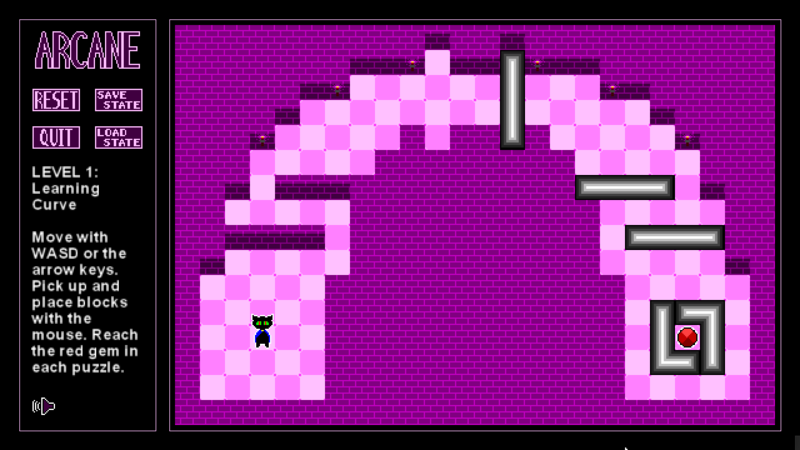 I don't know if the same goes for using the itch.io desktop client, I've never published a game before. Oh man I'm diggin this!! I love the sprites, the music, and it's been awhile since I sat down and played a puzzle game. It's like waking up and having a cold glass of water.